Getting stuck in an elevator is not only a nightmare but also disappointing to patrons who frequent your premises. For this reason, Commercial and Industrial Lift Maintenance service can be a lifesaver. Lift maintenance services handle regular servicing of the elevator to pre-empt repairs, consequently reducing the likelihood of breakdowns. Securing the services of the Commercial and Industrial Lift Maintenance specialist is a wise decision you will ever make. Mostly renowned as one of the most competent organizations in this niche, Commercial Lift Singapore is engaged in providing Commercial and Industrial Lift Maintenance services to customers in Singapore and beyond. Our skilled professionals incorporate superior quality tools and innovative techniques to render satisfactory services. Each service is accomplished in the right way to attain the maximum customer satisfaction. Frequent lift maintenance is vital for reliability, longevity and long-term efficacy. Our services will minimize downtime while ensuring that you get 100% safety. With over 10 years of industrial & commercial lift maintenance expertise, we assure that we can maintain all makes and models of lifts. Our elevator maintenance portfolio encompasses major names in retail, property as well as hotel sectors. Our organization presents a rich diversity of lift configurations and usage levels that reflect the specific needs of the customer. It is important to consider a lift provider that addresses all your lift maintenance requirements. At Commercial Lift Singapore, we consistently provide an unsurpassed level of lift maintenance. We tailor our services to suit each client’s requirements, and this sets us apart from the competitors. All these services aim at reducing the inconvenience of lift downtime and cutting down unexpected lift failures. All the elevators that we maintain must go through a commissioning survey that seeks to establish a performance benchmark for your equipment. 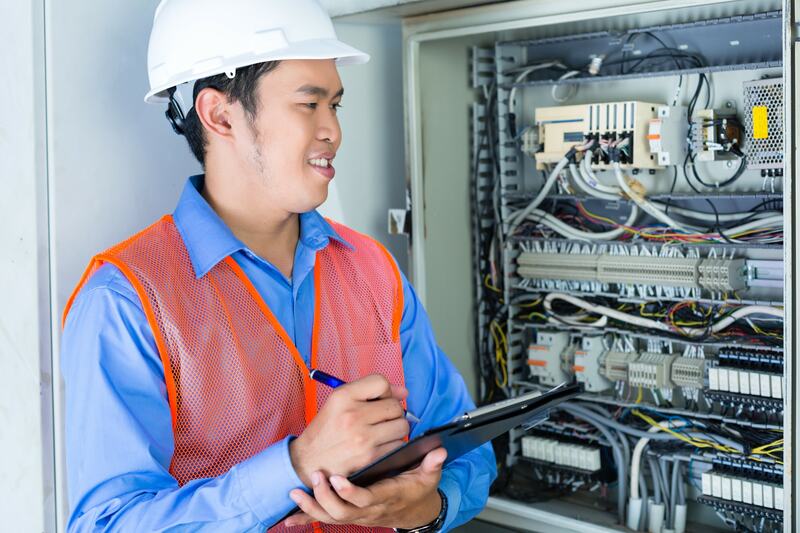 When you decide to invest in a Commercial Lift Singapore maintenance plan, you are literally investing in the lifetime functionality and reliability of your lift. Besides, you are also forging a lifelong partnership with us. Our expert technicians assess all issues that may be causing breakdowns. Once they have identified the issues, they immediately resolve them to thwart any future frustrations. All our engineers have electronic access to all of the manufacturer’s manuals and support resources. Consequently, our engineers have what it takes to address even the most complicated equipment. We can maintain all types of industrial and commercial elevators, including cable and hydraulic. We pride ourselves on our trained and licensed technicians, who guarantee that your equipment never gets a BCA violation. Each one of our engineers must complete a four year mandatory apprenticeship program. There’s no reason to doubt their level of expertise. They adhere to all the safety requirements along with the high standards in the industry. Commercial Lift Singapore undoubtedly flaunts the suitable experience in the industry. We have the requisite expertise, knowledge and the right tools to service and maintain lifts of different makes and models. We strictly adhere to the manufacturer’s guidelines when servicing your lift. Hence, we can undertake any maintenance work to ensure that your equipment runs the best it can. While it goes without saying that a lift servicing and maintenance job is a lifesaver, it is important to choose the right firm with the necessary tools and resources. The supposed company can help you do the commercial and industrial lift maintenance service that matches your specific needs. Whenever you are making your decision, we recommend that you counter-check the level of service and the duration that particular service takes to complete. At Commercial Lift Singapore, we carry the best commercial and industrial lift maintenance service that will impress you. We seamlessly undertake each service. Hence, each one is an “A” grade service that covers all checks to an excellent standard. Worth noting, our company spends adequate time servicing lifts. We spend a minimum of 1-2 hours per service, and this ensures that we are the right elevator service provider that covers all aspects. Before we leave the site, we also provide you with a detailed check sheet that highlights any adjustments effected to your equipment. For more information, call or e-mail us at any given time of the day or night. We are available on a 24/7/365 basis. Get in touch with us as soon as possible so that we can discuss your unique requirements. The earlier you reach us, the faster we can address your elevator problems.